RSX There are 11 products. 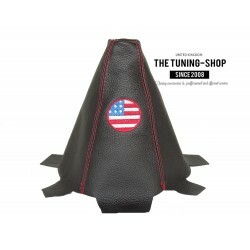 A brand new shift boot & seat belt covers made from genuine leather. 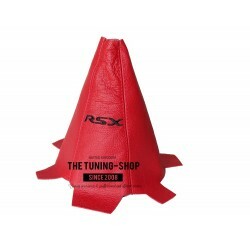 Part compatibility: Acura RSX (2002-2006) Transmission: Manual Leather Colour: Black Stitching Colour: Red + Embroidery "RSX"
A brand new shift boot / gear gaiter made from Italian leather. 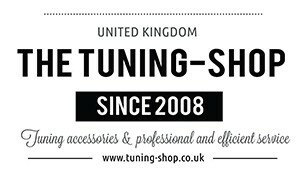 Part compatibility: Acura RSX (2002-2006) Transmission: Manual Leather Colour: Black Stitching Colour: Red + Embroidery "Type R"
A brand new set of 2 seat belt covers made from genuine leather. 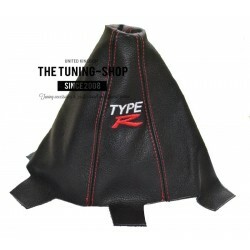 Part compatibility: Acura RSX (2002-2006) Leather Colour: Black Stitching Colour: Red + Embroidery "RSX"
Brand new gear gaiter made from genuine leather. 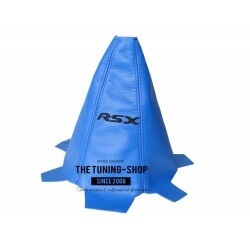 Part compatibility: Acura RSX (2002-2006) Transmission: Manual Leather Colour: Blue Stitching Colour: Blue + Embroidery "RSX"
Brand new gear gaiter made from genuine leather. 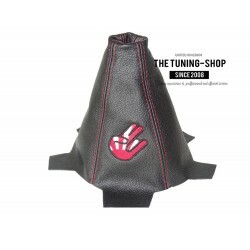 Part compatibility: Acura RSX (2002-2006) Transmission: Manual Leather Colour: Black Stitching Colour: Red + Embroidery "RSX"
Brand new gear gaiter made from genuine leather. 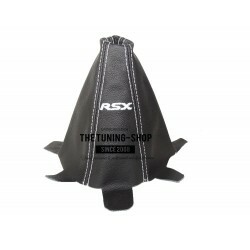 Part compatibility: Acura RSX (2002-2006) Transmission: Manual Leather Colour: Black Stitching Colour: White + Embroidery "RSX"
Brand new gear gaiter made from genuine leather. 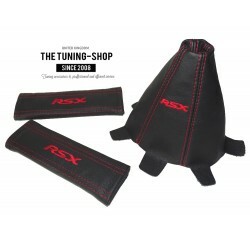 Part compatibility: Acura RSX (2002-2006) Transmission: Manual Leather Colour: Black Stitching Colour: Blue + Embroidery Blue "RSX"
Brand new gear gaiter made from genuine leather. 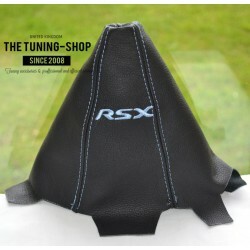 Part compatibility: Acura RSX (2002-2006) Transmission: Manual Leather Colour: Black Stitching Colour: Light Blue + Embroidery Blue "RSX"
Brand new gear gaiter made from genuine leather. 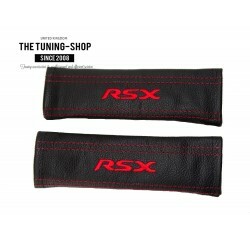 Part compatibility: Acura RSX (2002-2006) Transmission: Manual Leather Colour: Red Stitching Colour: Red + Embroidery "RSX"